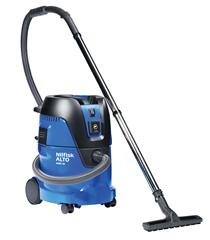 The Wet & Dry ATTIX 7 is perfect for users who need high capacity vacuuming and features that focus on efficiency. Our most silent vacuum, ever, with superior suction performance. The tougher the cleaning, the better the vacuum cleaner needs to be. With 7200 ltr. 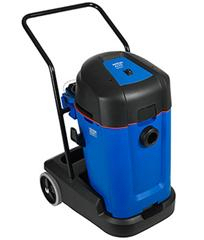 per minute of air volume, and 3000 W of maximum power, it is capable of fast, productive cleaning of dirt, metal chips and liquid spills. If you are working with M Class Hazardous Dust, you will find the perfect Wet & Dry solution here. Choose from 3 different container sizes and other features which enhance your working efficiency. 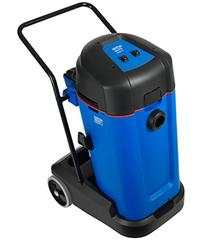 If you are working with H Class Hazardous Dust, you will find the perfect Wet & Dry solution here. MAXXI II 35 offers a innovative dual filter system allowing the machine to be used for both wet and dry applications without the need to change filters. Thanks to MulitFit connection the MAXXI II tools are compatible with all ATTIX accessories. IMAXXI II 75 offers a innovative dual filter system with large capacity allowing the machine to be used for both wet and dry applications without the need to change filters. Thanks to MulitFit connection the MAXXI II tools are compatible with all ATTIX accessories. MAXXI II 55 offers a innovative dual filter system allowing the machine to be used for both wet and dry applications without the need to change filters. Thanks to MulitFit connection the MAXXI II tools are compatible with all ATTIX accessories. 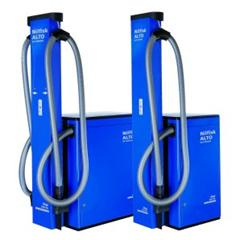 Coin-operated self-service vacuums for use on garage forecourts. All models use a simple cloth filter system for easy maintenance. 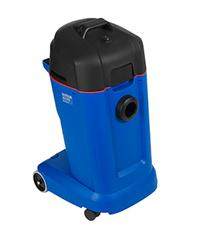 AERO 21 is the smallest model in the AERO 21/26 series with compact design and easy to use features such as Push&Clean filter cleaning system and convenient accessory storage. 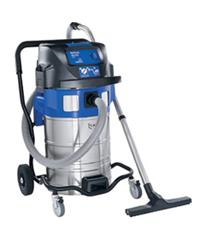 The 20 litre machine has efficient suction performance,robust trolley and lifting handle. AERO 26 is the feature model of the AERO 21/26 series with high focus on application and end-user needs. Push&Clean filter cleaning system and exhaust air blow function is found on all models together with flexible and convenient accessory storage. The small size and big performance of the ATTIX 30, along with the wide range of available models, make it a perfect choice for people who move with their work from place to place. 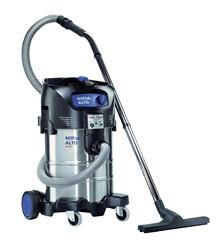 ATTIX 40 gives superior suction power in a compact and flexible solution. Silent, small and mobile, but with the same convincing suction performance as the larger ATTIX 50, this is the perfect solution for commercial and industrial use with an easy to clean corrosion proof stainless steel container. 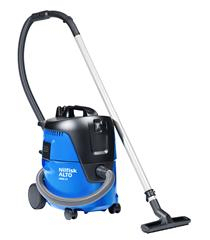 Tough and reliable the ATTIX 9 is ideal for difficult tasks as well as daily maintenance cleaning. Its suburb perfomance and quality construction make the ATTIX 9 a great choice. ATTIX 115 & 125 are simple single-phase industrial vacs with large capacity, high performance and robust design. The machines are ideal in the metal working industry for metal chips mixed with oil/coolant or at building & construction sites for collection of fine dust (HEPA filter available as option). 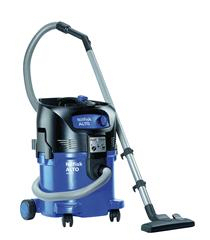 Thanks to their high performances, ATTIX 145 & 155 are the ideal industrial three phase vacuum cleaners for general cleaning in all kind of industry, especially when large quantities of dust have to be collected. The 100 litre steel container is ideal for collecting large amounts of solids (e.g. metal chips) or liquids (e.g. oil and lubricants). The practical SitDown container system makes emptying convenient for fast and productive cleaning. The ATTIX 965-0H/M SD XC is the most powerful two-motor machine that is approved to be used for both H and M Class dusts. Featuring XtremeClean automatic filter cleaning and a stainless steel sit down container. The perfect disposal concept for Industrial use and health endangering and carcinogenic dust. 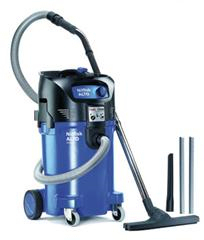 Health & Safety Wet & Dry vacuum cleaners for ATEX Zone 22 explosive dust. If you are working in an ATEX Type-22 explosive dust environment, you will find the perfect wet & dry solution here. 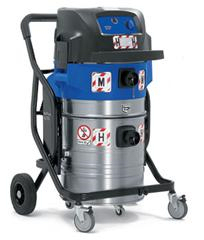 The ATTIX 995-0H/M SD XC Type 22 is a powerful two-motor machine that is approved to be used for both M and H Class dust in a Zone 22 environment. Featuring XtremeClean filter cleaning and a Stainless Steel Sit Down container. The perfect solution for industrial use where safety is a must.